United People’s Freedom Alliance (UPFA) leaders decided yesterday to fast track an electoral reforms package for inclusion in the 19th Amendment so that President Maithripala Sirisena could dissolve Parliament after its passage and go for early polls. Consensus on the matter emerged at a meeting of alliance leaders at the residence of President Sirisena. A four-member Committee of the Sri Lanka Freedom Party (SLFP) is now formulating this package. They will meet on April 15, immediately after the National New Year holidays, to wrap up the draft package. The committee, named at a meeting of the SLFP parliamentary group on Friday, is working on a 250-seat parliament concept. The draft package will go before the UPFA leaders at a meeting to be chaired by Mr. Sirisena on April 16 and they hope to reach finality. Thereafter, it will come up for approval by leaders of political parties represented in Parliament at a meeting on April 19. Parliament is expected to debate the 19A Bill on April 20 and 21. 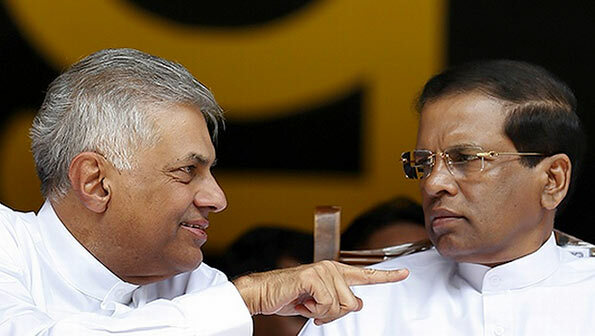 President Sirisena agreed at a meeting of leaders of the coalition that Parliament could be dissolved in early May and the polls held in the last week of June. The SLFP committee now working on the electoral reform package comprises Opposition Leader Nimal Siripala de Silva, Mahinda Samarasinghe, Dilan Perera and G.L. Peiris. The UPFA leaders also discussed the possibility of having a joint May Day rally — a move that indicated the wish of President Sirisena to bring back factions backing former President Mahinda Rajapaksa. The joint-rally plea was made by Mr. Sirisena. Earlier, SLFP General Secretary Anura Priyadarshana Yapa also extended an invitation to former President Rajapaksa to join the rally. A UPFA source said a participant asked President Sirisena whether he would object to Mahinda Rajapaksa becoming a candidate at the election. He replied that he had no objection. Those taking part in yesterday’s meeting were Susil Premajayantha (General Secretary of the UPFA), Dinesh Gunawardena (Mahajana Eksath Peramuna), Tissa Vitharana (Lanka Sama Samaja Party), Douglas Devananda (Eelam People’s Democratic Party) and Vasudeva Nanayakkara (Democratic Left Front).